Needless to say, I am extremely excited about this partnership and I think fans should be too. I feel like the Verizon IndyCar Series has turned a corner by answering the most important question in motorsports, which is relevance. Motorsports across the spectrum has been hemorrhaging fans at the track and on television. In all the articles written so far, there are two things I haven’t seen mentioned yet that give me hope for the future of the sport. First, Verizon can be a game changer when it comes to demographics. In searching the internet, I found two statistical studies for IndyCar that were very similar. There is no doubt about it but IndyCar fans are getting older. According to one study, 40% of IndyCar fans are 55+ and the other stated 31% are 55+ years old. Among the coveted 18-35 year olds only 20% are IndyCar fans. If you break that age category down further, only 8% of those who are 18-24 years old are IndyCar fans. According to the other study only 12% of 18-24 year olds are IndyCar fans and 16% of 25-34 year olds are fans. If you would like to check out both studies click the links: IndyCar demographics and JDC Motorsports. This is where Verizon can help reverse this trend and bring relevance to IndyCar racing. Verizon has 144.8 million customers and 195,400 employees. It is a Fortune 500 company and their name is recognized by everyone, including those who go to the taxicab series sponsored by a competitor. Verizon can use their technology to reach the kids of today and tomorrow to become race fans. According to a 2013 Pew Research Study 90% of adults own a cell phone and 58% of those same adults have a smart phone. A deeper look into the demographics of smart phone users shows that 88% of 18-29 year olds have a smart phone; 49% of 50-64 year olds have a smart phone and only 19% of 65+ have a smart phone. Verizon has a captive audience that are technologically savvy. To further illustrate the impact that Verizon can have on cell phone users are the social media demographics. According to that same 2013 Pew Research Study, 90% of 18-29 year olds use social media compared to 65% of the 50-64 age group and 46% of the 65+ age group. IndyCar needs to reach kids and kids use technology and that is why I am so pumped about Verizon being the title sponsor and the statements that have been made. 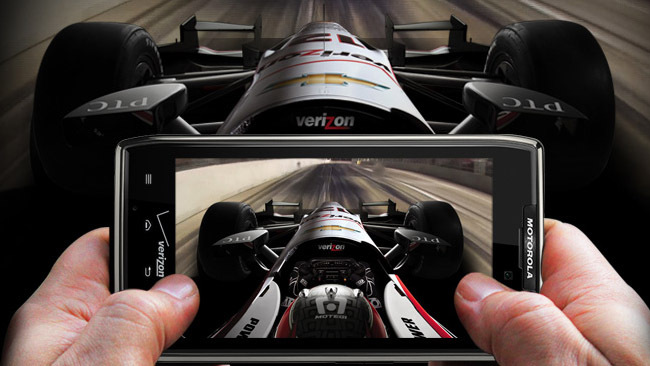 Verizon speaks the language of the 15-29 year olds and can draw them into IndyCar racing. Second, Verizon is more than a wireless and cell phone company; they are a technology company. IndyCar is currently a spec series and will be introducing aero kits in 2015. Many fans have been wanting the rulebook to be opened up to allow, for example, multiple chassis. The main reason IndyCar has not been able to get away from spec racing is the financial stability of the teams and series. Verizon will be able to help bring other companies to the table that want to spend money. If we take Brian’s statement at the beginning of this article seriously, I have to think that when IndyCar starts to develop the next car, Verizon will be pushing multiple chassis, more technology and thus more speed. Keep an eye on both of these issues in the next several years and let me know what you think. I think both of these will come to fruition and IndyCar will once again be THE Series that drivers, sponsors and fans want to be a part of. 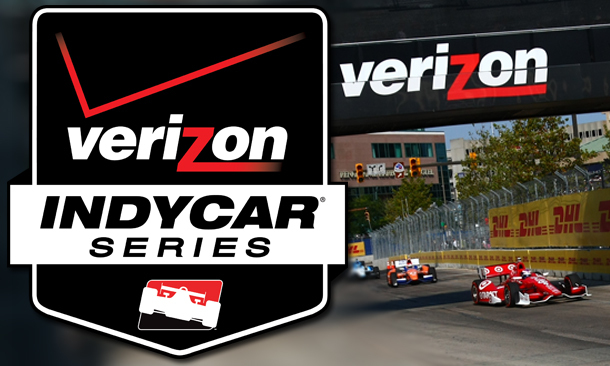 Verizon will help IndyCar become the heart of racing again!